FORT MYERS, Fla. (May 1, 2015) – Attorney and Mediator Keith Grossman, founder and managing partner of Grossman Law & Conflict Management, is pleased to announce that the 11th Annual Keymorada Fishing Tournament will take place from Tuesday, May 5 through Friday, May 8 at the Cheeca Lodge and Spa in Islamorada, FL. The tournament is a fundraising event for the Crohn’s & Colitis Foundation of America (CCFA). Participants are paired with a professional fishing guide for both inshore and offshore fishing. All proceeds from the tournament will benefit the new Crohn’s and Colitis Center at the University of Miami, which center provides state of the art treatment and services for those suffering with Crohn’s disease, ulcerative colitis, and related intestinal bowel diseases. Grossman is a member of the State Board of CCFA and Chair of the SWFL Leadership Board. The organization provides two support groups locally, in Naples and Fort Myers, as well as educational programs. Grossman Law & Conflict Management is one of the 2015 Law Firm Challenge participants for the tournament, providing a cash donation to the cause. 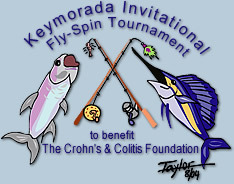 For more information on the tournament and how to participate, go to keymoradafishing.com.